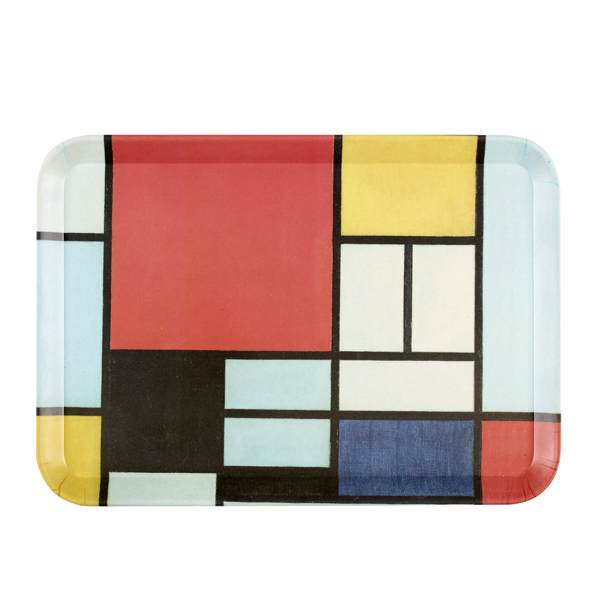 Eco-friendly bamboo tray featuring Composition with Large Red Plane, Yellow, Black, Gray and Blue, 1921, by Piet Mondrian. 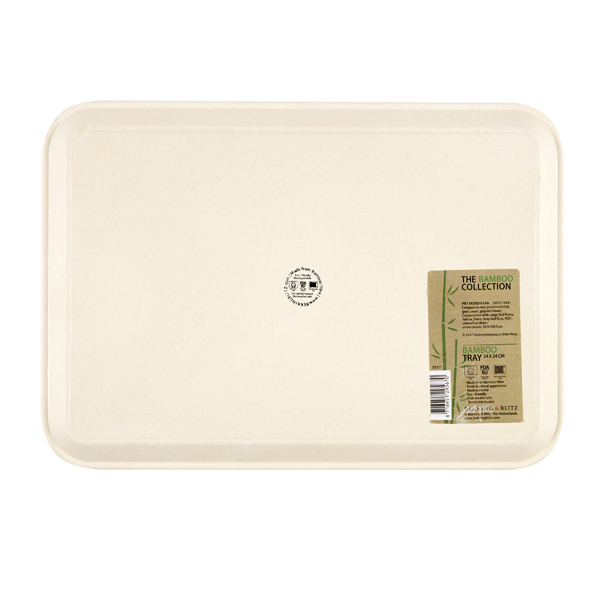 This tray is an ecologically sound way of carrying your tea. Constructed from bamboo fibres, it is fully biodegradable, and yet solid and resiliant- even able to be washed in the dishwasher. The featured composition is an example of the non-representational form invented by Mondrian called Neoplasticism. Although rooted in nature, neoplasticism sought to free itself from representation by way of extreme simplification. He painted these compositions using only horizontal and vertical lines, and limited himself to the colours red, blue, yellow, black, white, and grey, feeling that this abstraction brought him closer to a spiritual and universal truth. Eco-friendly travel coffee cup featuring a detail of a composition by Piet Mondrian.